If you’re like lots of people, chances are you have been storing all those cold season clothes in a trunk, under your bed, or other creative spaces. Lots of homes have reach-in closets; however, many of these spaces tend to become frustrating and messy especially when you try to jam two or three seasons’ worth of clothes into one small space. The result? There’s a great chance that your reach-in closets contain some necessary winter gear that is near impossible to get at. Do you even know where, exactly, your cold-weather clothes are after the summer? If not, try organizing your clothes and accessories for fall and winter with the following tips. This is a pre-step but it’s really important so don’t ignore it! Clean the rest of your room first so a) you’re not overwhelmed by the jumble of clothes and b) you’re not accidentally bringing in dust and other undesirables into your dresser/closet. The first step to getting organized for the cold weather season is here is to review everything you currently have—that includes summer and cold-weather clothes. Pull everything from your closet and review each item. This can be a hard first step because ultimately it means you must decide to keep it, store it, donate it, or throw it out. The more strict you can be with yourself here the easier life is going to be finding items in the future. 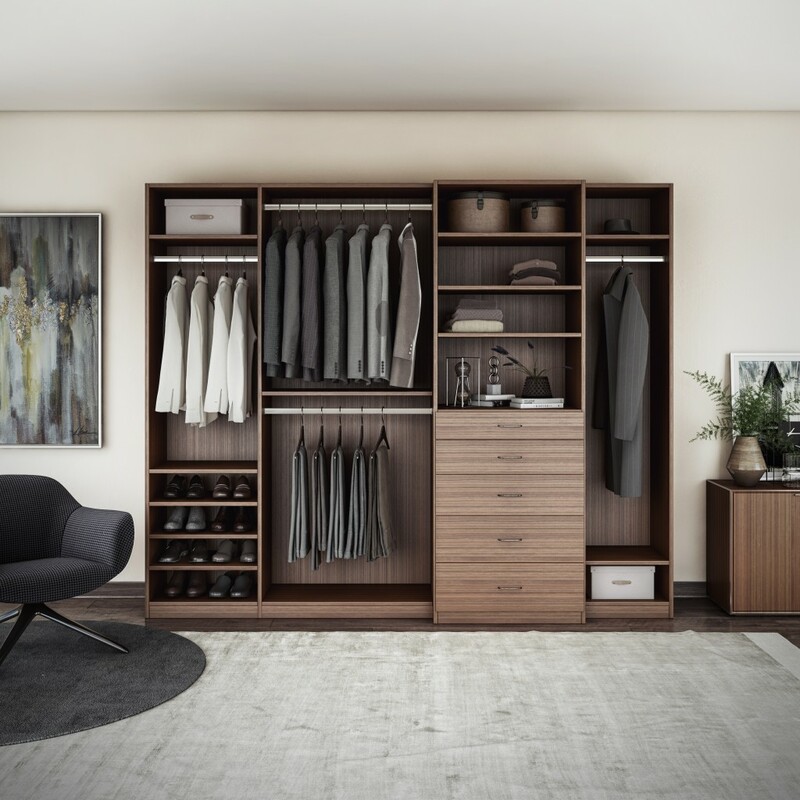 Most home reach-in closets have limited space, but even if you do have a bit more than average, try to be choosy abut what you put front and centre. In fact, you may want to relocate clothes you won’t wear in the fall and winter, such as spring dresses and summer-weather tops. Avoid over filling your closet as much as possible—this only makes it harder to find things and stressful. Tip: Lots of summer/spring clothes are easily stored by folding and putting away in storage containers. 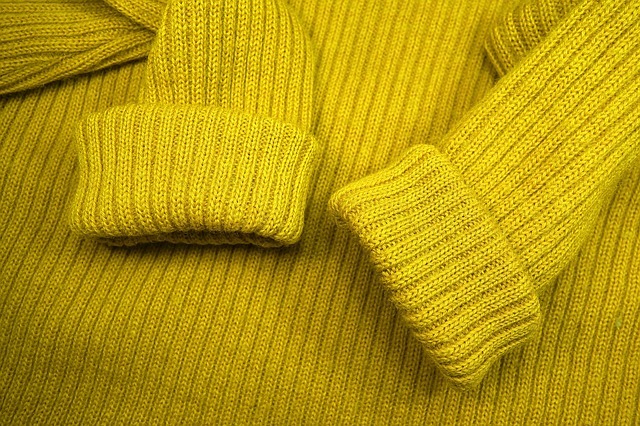 One of the biggest challenges during fall and winter is organizing your sweaters and heavy knit clothes. These items shouldn’t be hung on hangers because they’ll lose shape. But folding them in a big pile isn’t the best option, either. Consider adding more shelves to store folded clothes in shorter piles. To help avoid stuffing your closet, consider separating heavy coats, winter scarves, gloves and hats in your mudroom or entryway. This will free up space in your main bedroom closet for other items. Things like scarfs or belts are handy to access if they are placed on hangers that differentiate them from the rest of your clothes so why not take a moment now and give them a special place that they can easily be found all season long. 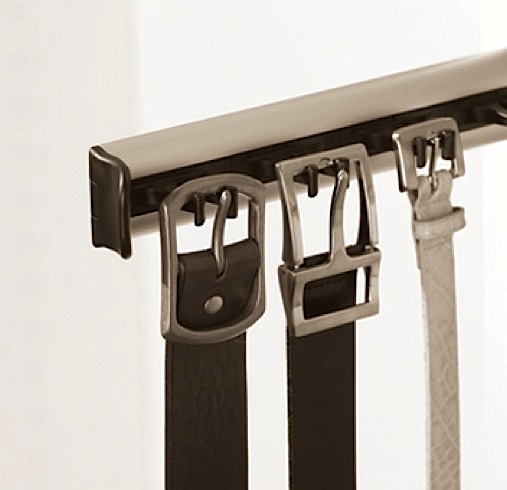 Below, a Synergy Belt Rack. Cubbies are the perfect solution for storing small, thin shoes, such as sandals, flip-flops and summertime flats in the off-season. This will also free up floor space for boots, which are usually hard to keep organized. 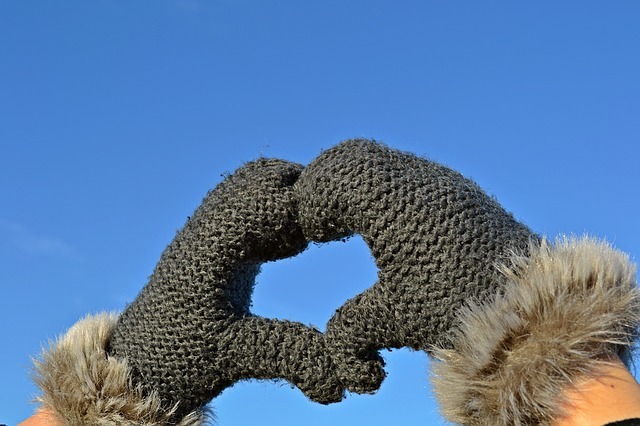 In a container, put away any rarely used items like ski pants or the heaviest winter coats you won’t need until January. Store these on the high shelf above the hanging clothes if possible. Follow a “Keep” “Donate” “Store” “Mend” for shoes, purses, and accessories. Check to see if your shoe soles and heels need repair–by spending $20 on rubber soles and heels, and regularly maintaining them, you can wear a good pair of shoes for a long time. Put away the “Keep” shoes inside the closet, either under the hanging clothes or next to them in hanging pockets. 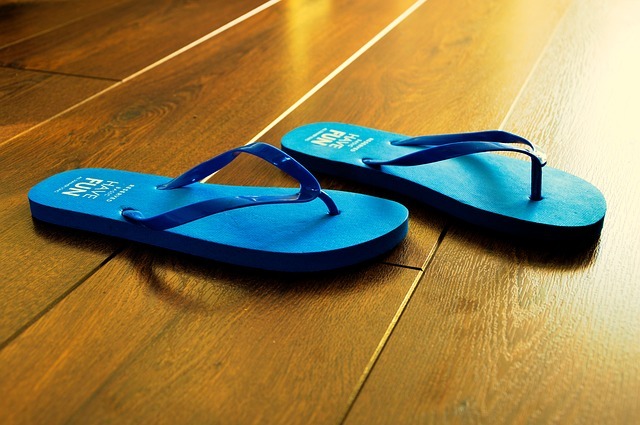 Store away the summer sandals in shoe boxes toward the back. Make sure to label each box clearly. Hooks are another great way to hang scarves, accessories and even some jewelry—whether it’s on the side wall, on the back of the door or in another spot in your room. This will keep the space feeling a little less cluttered. Many reach-in closets have no light or just one light above, which makes it difficult to see clothes stored on either side or below hanging clothes. Consider adding small, battery-powered lights to illuminate your clothes as the days get shorter. To really get the most out of your reach-in closet in any season, you can add custom storage to it. To help you get organized, a Designer will review everything you want to store in the space and make recommendations on how best to get and stay organized with enough hanging storage, custom shelves, shoe storage and room for jewelry and accessories. Below, reach in closets can feature adjustable shelves, cubbies, hanging rods, baskets, shoe shelves, jewelry drawers, and so much more. 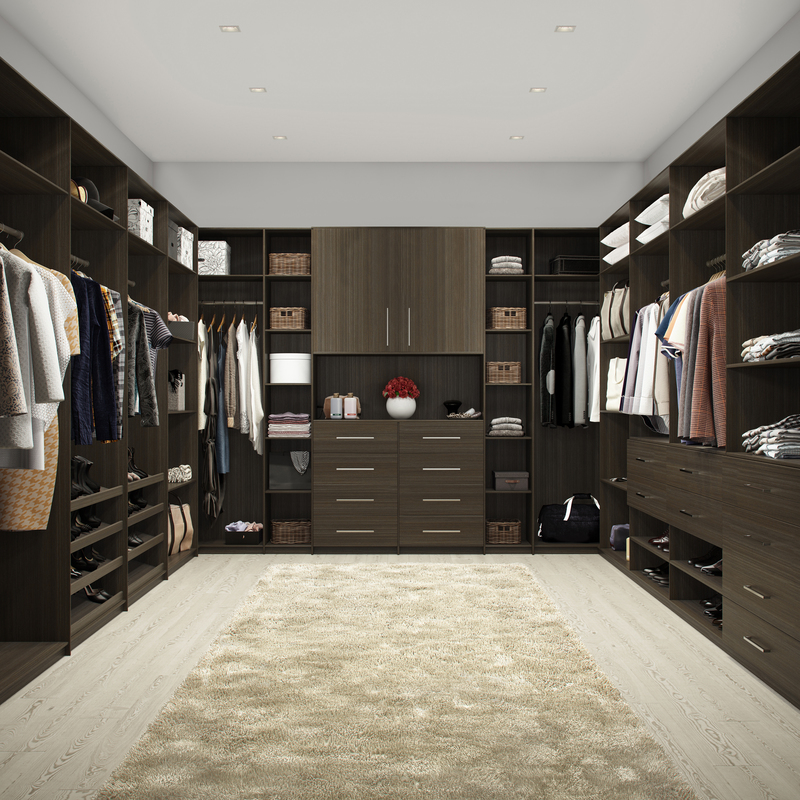 If you’re ready to transform your reach-in closet with custom storage, why not reach out to the local professional Closets By Design Niagara and get a free consultation to see what the possibilities could be? Closets By Design Niagara is offering 40% off all their products PLUS are offering an extra 15% off until Dec 31st with free home installation! 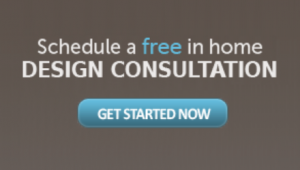 Closets By Design Niagara is located in Niagara-on-the-Lake and has brought organization solutions to thousands of customers in the Niagara Region and beyond. Specializing in custom closets and home offices, Closets By Design Niagara can design an attractive storage space for any area of your home that needs organizing, from the pantry to the garage and everywhere in between.